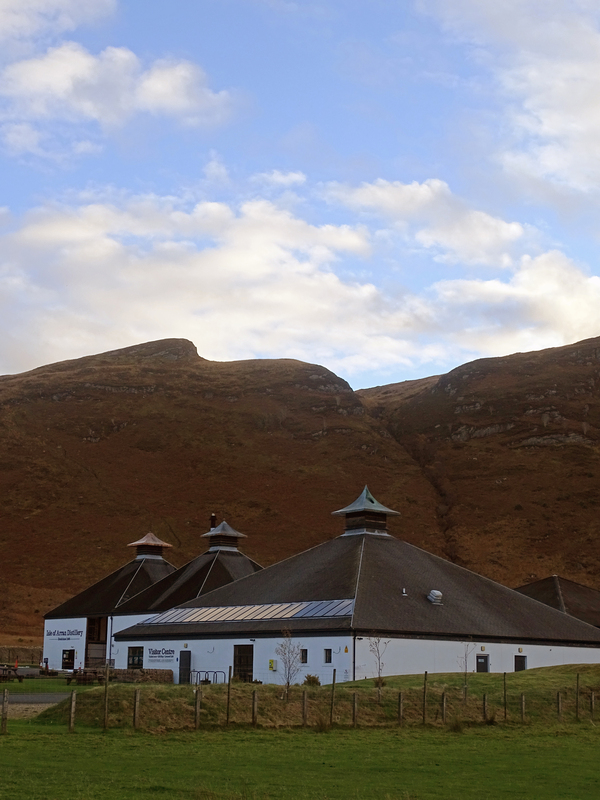 Independent whisky distillery Isle of Arran Distillers Ltd, established at Lochranza, on the island of Arran, appointed Graven as interior designers to enhance and develop their existing visitor centre experience and café facilities, and as designers for a further more strategic guest experience facility within a new purpose built annexe designed by Denholm Partnership Architects. 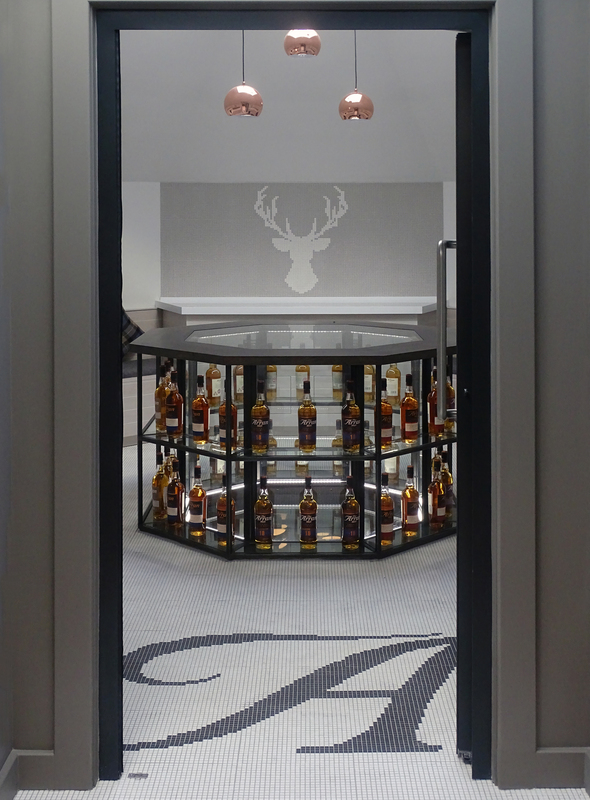 In the new annexe, the principle invite-only lounge is a flexible, multi-purpose space, used for selected tastings and corporate events. 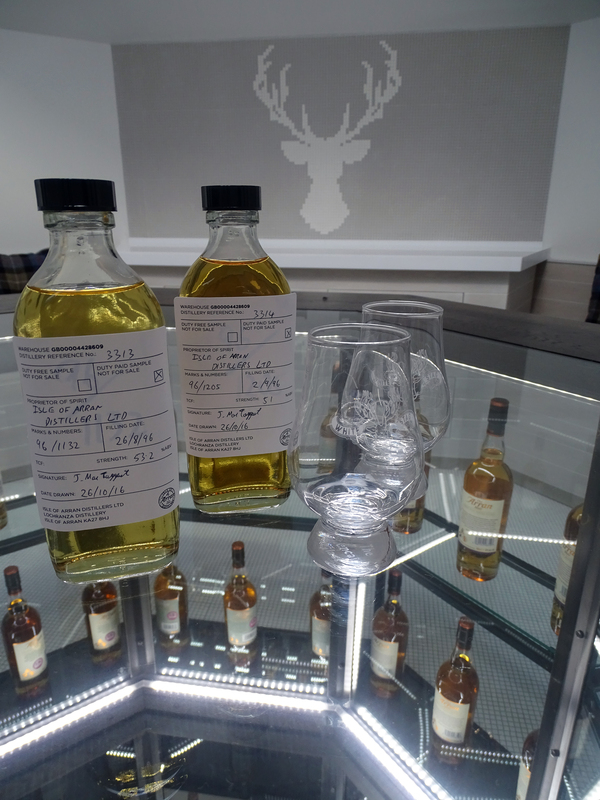 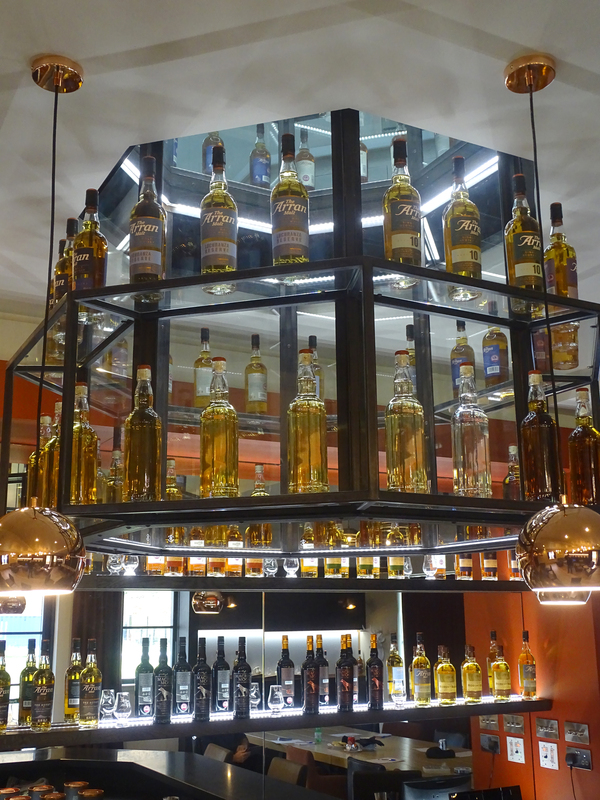 The central whisky tasting bar is formed around an overhead illuminated glass and steel octagonal display gantry. 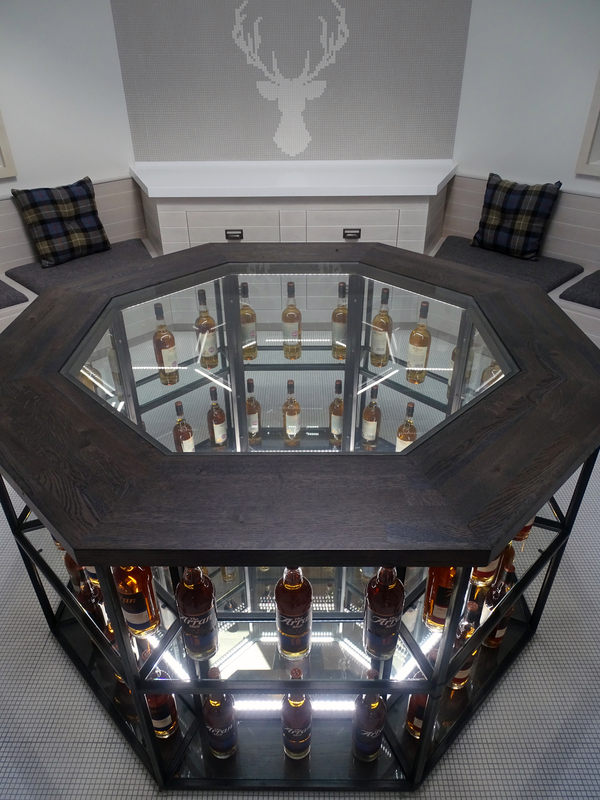 The gantry element acts as an oculus, penetrating through the ceiling and rising to table height on the floor above, offering both natural and artificial light and whisky display through both levels. 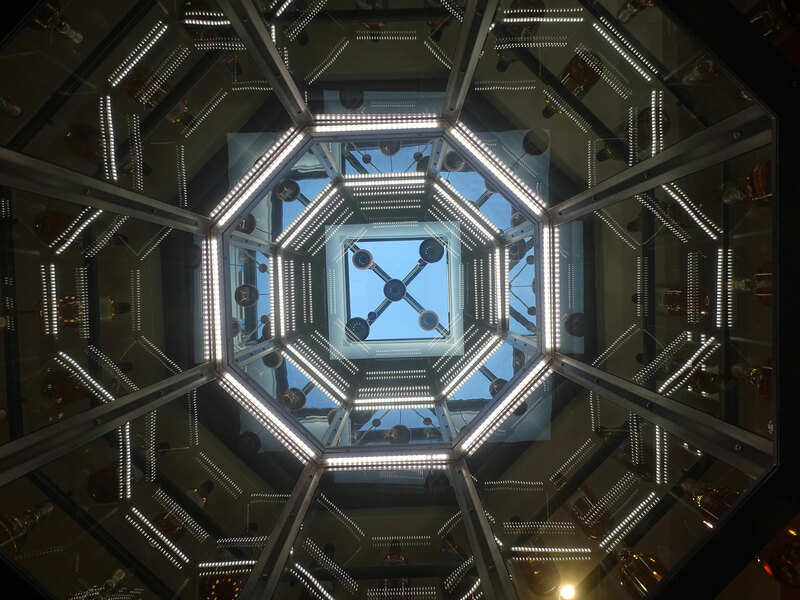 The upper level features an octagonal blending room, formed around the central glass and steel oculus rising through the floor. 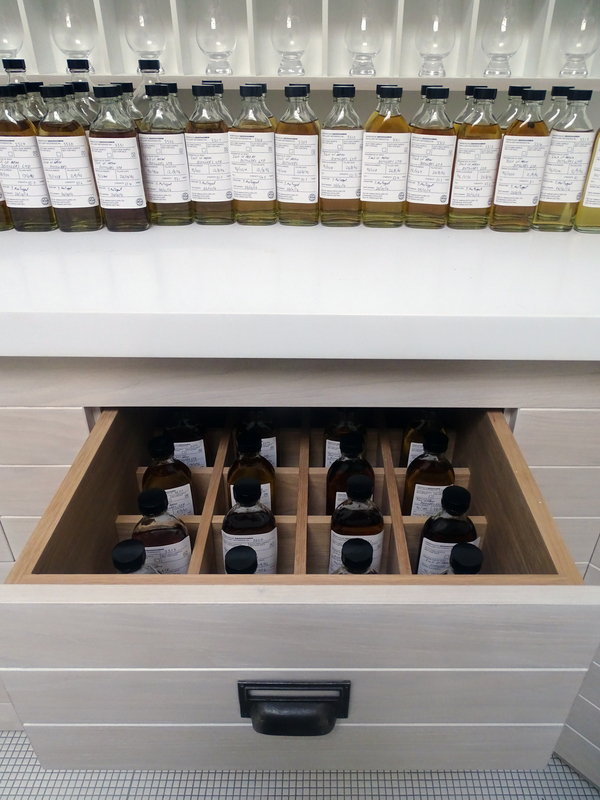 This is a laboratory environment for the master blender to monitor and maintain production quality, finished in bespoke blanched white oak sample cabinets and white mosaic floors, to amplify the variance in tone across the range of whisky samples.